100 ball cricket: Do we really need another new format and can sponsors get cut through? While I’m still recovering from the drama of Alistair Cook’s final test match and a 10 hour T20 Blast finals day TV marathon, a new format of cricket is readying itself for inclusion in the English cricketing summer. 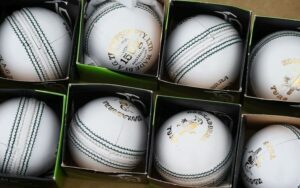 Last year the ECB, in an effort to widen the appeal of cricket, went back to the drawing board and announced their own ‘100 ball’ franchise competition that will sit alongside the existing T20 county tournament from, ironically enough, 2020. Many have questioned why we need another new format of cricket, not least the Indian captain Virat Kohli. However I for one am ready to embrace the concept. It’s not the first change in cricket* and won’t be the last. The ECB may have given the world the gift of twenty 20 cricket but its own T20 Blast has failed to match up to the excitement and popularity of the franchise based T20 behemoths of the Indian Premier League and Australia’s Big Bash. The new 100 ball competition will create eight franchise teams across the country and introduce 15 six ball overs and a final 10 ball over. Ten sixes in an over anyone? There is no coincidence that the next TV partnerships deal starts in 2020 and the new tournament provides the ECB with the much needed opportunity to reach a wider audience via the return of live domestic cricket to the BBC and free to air TV. The ECB needs a solution to ensure the next generation engage with the sport as cricket participation is down since the all-encompassing Sky Sports deal started in 2006. Younger, social media empowered sports fans with ever decreasing attention spans are demanding something different. Performance Communications’ own Future of the Sports Fan report found that nearly a quarter of sports fans are bored with traditional sports and they need to get shorter and more entertaining to stay relevant. The new format will take less than 2 ½ hours and finish by 9pm, not only appealing to families but to our younger, time poor, population. Each franchise will have a women’s team and their competition will be played alongside the men’s. This initiative should be applauded but I will wait to see how much air time the women’s competition will receive before we can give the ECB and TV companies a pat on the back. Although there are crowded international (Test, ODI, T20) and domestic (County Championship, one day & T20 Blast) fixture lists each summer, the new competition promises a five week window for brands to own the cricketing agenda and achieve considerable cut through. There is of course a risk in backing a new sporting format, but the opportunities outweigh the threats. All eyes, of the cricketing world at least, will be on the 100 ball game to see what it has to offer and it is guaranteed to draw in a new, wider audience through the terrestrial TV deal. The women’s competition will also engage with a wider demographic and maintain the momentum of the women’s game. Two years out and there is understandably much detail to be confirmed. The ECB has however opted to retain overall control of the teams, rather than the private team ownership model of the IPL. While this may restrict innovation and speed of progress, if the Big Bash model is to be followed then there will still be an opportunity for new sponsors to get a piece of the action with the eight regional teams alongside the ECB’s core sponsors. Each of the teams start with a clean slate and early adopters to the franchises have the chance to integrate their brand within the teams, from developing the team branding, ethos and even selection of the playing staff to appeal to their target audience. Assuming it is a success – and the ECB cannot afford for it to be a failure – then the early sponsors will be rewarded for their support and will benefit from ongoing association as the tournament grows year on year. I will be watching with interest to see how the tournament develops for the teams and the sponsors. I’m sure that the distractors will be turned as new records are set, first ever champions are crowned and the viewing figures confirmed. For the first time ever I’ll need to put aside my Surrey affinity and make a decision on which of the teams to support. Roll on the summer of 2020! Never has a test match passed without Sir Geoffrey of Boycott mentioning his troubled life batting on uncovered wickets, unthinkable in today’s age of health and safety. It’s hard to think of cricket without one day matches but the Gillette Cup tournament was introduced in 1963 as an alternative to the traditional four and five day cricket. Kerry Packer’s World Series Cricket was a true revolution in cricketing world. 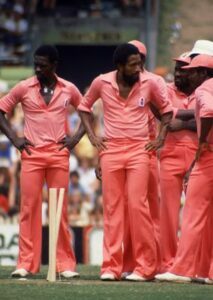 WSC introduced coloured clothing (who managed to persuade the West Indies team that salmon pink was a good idea?) and day/night matches with more than a little help from the late, great Richie Benaud. At times, World Series Cricket brought too much colour to the game. The West Indies team in 1979. Pink balls and an afternoon start… I’m still not yet convinced of day/night tests. To work effectively I think they need to start later still and run into the night to ensure the biggest possible audience. For now, the jury is still out.